AVAILABLE AT CLINTON LOCATION -- HARD TO FIND EL LOADED WITH TONS OF OPTIONS!!! 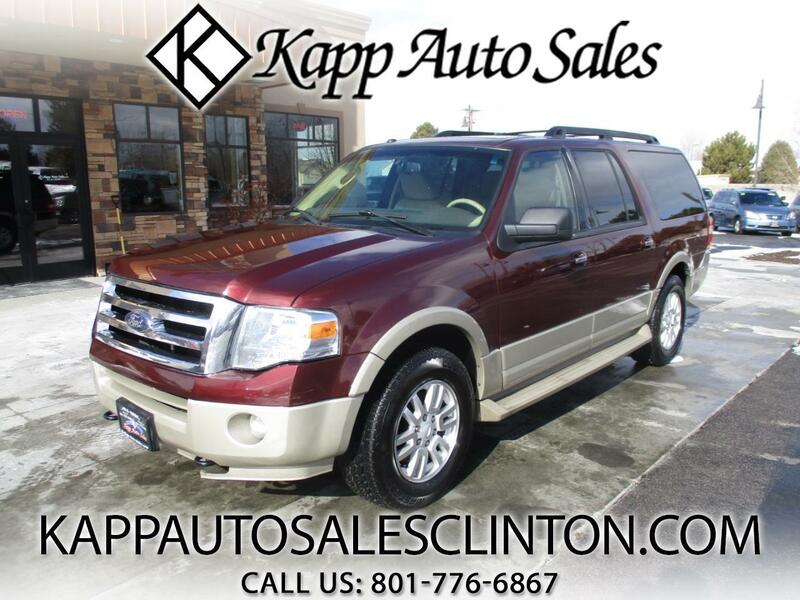 **FREE 3 MONTH/3,000 WARRANTY AT LIST PRICE** CHECK OUT THIS VERY NICE AND HARD TO FIND 2009 FORD EXPEDITION EL EDDIE BAUER EDITION!!! THIS THING IS AWESOME SHAPE FOR THE YEAR AND MILES AND IS LOADED WITH TONS OF NICE FEATURES!! THIS THING HAS LEATHER INTERIOR, HEATED AND COOLED SEATS, PWR EQUIPMENT, PWR SEATS, AUTOMATIC HEADLIGHTS, STEERING WHEEL CONTROLS, ADJUSTABLE PEDALS, 4X4, 6 DISK CD CHANGER, AUTO CLIMATE CONTROL, REAR SOUND AND AIR CONTROL, DVD, SUNROOF, RUNNING BOARDS, TOW PACKAGE, AND MUCH MORE!! !